The Weight Watcher's PointPlus program aims to help you reach your weight loss goals through a balanced eating program. The system assigns points to food, based on nutritional content; this way, no food is completely off limits. The goal is to stay within your assigned daily points range by keeping track of the food points you accumulate throughout the day. Nutrient-dense foods have a lower points value, which encourages you to choose healthy items most of the time. 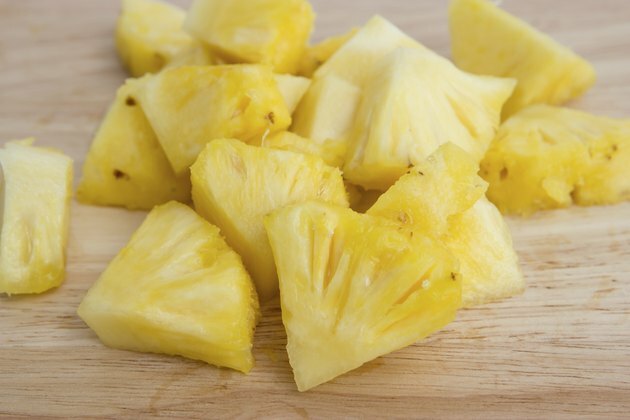 You are encouraged to eat plenty of fresh fruits, such as pineapple. The PointsPlus program assigns all fresh fruit a value of zero. This gives you the freedom to enjoy pineapple without the need to dip into your daily points. To remain at zero points, you must enjoy the pineapple fresh, as unsweetened frozen pineapple or canned pineapple in its own juice. Weight Watchers encourages you to eat fruit as a healthy snack, to bulk up your meals, or to tide you over when you only have a few points left. How Many Weight Watchers Points Can I Get Each Day?